Our mineral makeup can be used right after a microdermabrasion or a light chemical peel typically performed by Aestheticians. 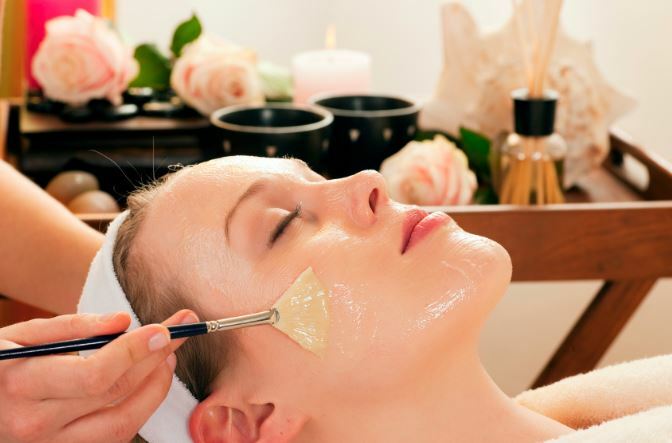 However, there are more intensive face treatments for resurfacing skin which are usually performed in a Med Spa setting. These cosmetic procedures are done by either a well trained Medical Aesthetician under the supervision of a physician, or a Dermatologist with expansive training in aesthetics, wishing to offer a soothing setting for their clients wanting to clear their skin and take years off their face. Our mineral makeup products will provide a barrier on the skin against outside elements after getting one of these cosmetic procedures done. They will also help to cover the redness, and through the use of Titanium Dioxide and Zinc Oxide, skin will be soothed and protected, allowing erythema to improve. With the addition of Allantoin this also assists with inflamed skin. Rice powder will cool and further soothe skin, along with Jojoba which balances the pH, and when combined with skin conditioning Methicone will provide a barrier against trans-epidermal moisture loss, keeping skin soft and supple. Since our mineral makeup also doesn't require endless buffing, this further protects the skin from the assault of grinding the minerals into delicate facial tissues. It is a press and sweep application only! Remember, after procedures such as these, your skin will be extremely photosensitive and must be protected. Even the use of AHA and BHA products can cause similar results for making it much easier for you to burn in the sun in a shorter period of time. So always use caution when using these products and make sure your face is always protected with a layer of mineral makeup. Laser Resurfacing Comes With A Precaution ~ Only use with a Physicians Permission! Only your doctor should answer the question of using anything on your face, much less mineral powders, immediately following a laser resurfacing procedure. It is depending on how deeply the epithelium was penetrated. Typically it can take 5-14 days of recovery time. Once your epithelial tissue has recovered to your physicians satisfaction, then our mineral makeup is recommended and should not be an issue for delicate skin. The minerals will continue to protect your now renewed facial features from environmental stressors. You will not worry about using them in the least, in fact! The fewer ingredients used in a product, the less the irritation response. This is why Sterling Minerals is a key factor in providing phenomenal coverage and has an incredible soothing effect on extremely delicate or sensitive skin, and why it is offered to our medical aestheticians in a Med Spa setting.